Revax Media, an online marketing agency within the North East of England has today launched its brand new service, Pay On Results SEO. Pay On Results SEO is a breath of fresh air within an industry which suffers constant criticism for offering snake oil like services. 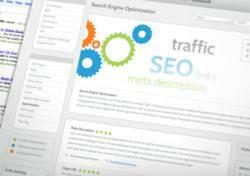 Revax Media, a North East based online marketing agency today introduced its “Pay On Results SEO” service. This highly effective marketing service offers clients the peace-of-mind and security of only needing to pay 10% of the service and 90% on results as opposed to other traditional agencies that require a 50% deposit. Along with their latest service, Revax Media has also launched a comprehensive client area; this will allow clients to monitor their campaign with real time data. The new service is specifically targeted at small and medium sized businesses offering proven SEO services to help grow their business in economic uncertainty. Revax Media introduced the ‘Pay-on-Results SEO’ program to generate popularity with the use of Search Engine Optimisation for growing businesses online, in a time when the traditional advertising costs are being driven down.